The Carpenter Ridge Section of the 118 mile long Paradox trail is located on a ridge above the Paradox Valley overlooking the communities of Bedrock and Paradox, Colorado. 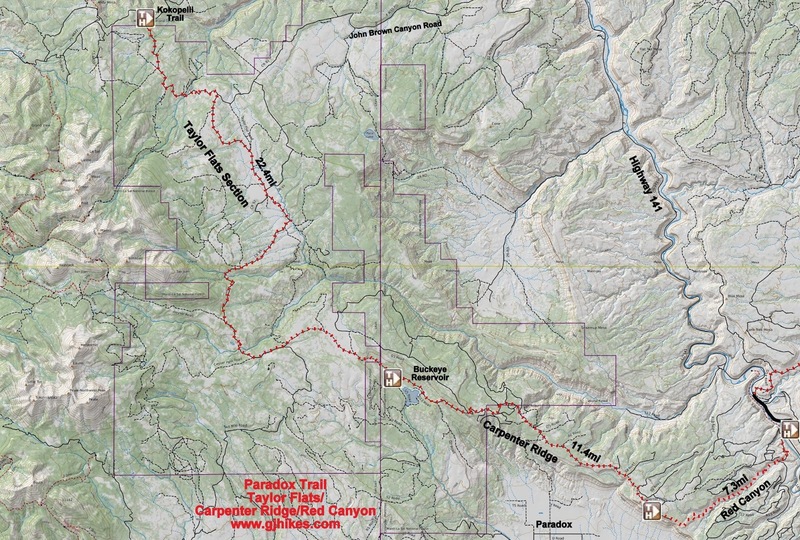 This section of the Paradox trail begins where the Red Canyon section meets back up with Q13 Road. From there it travels the length of Carpenter Ridge until it eventually reaches Buckeye Reservoir. Enroute it is connected to by many different side roads one of which drops off of the ridge and into Paradox Valley. For this post we drove the 6 miles up the Q13 Road from Highway 141 to get to where the Carpenter Ridge Section begins. After a sandy start the Carpenter Ridge section of the Paradox trail takes off on firmer ground heading west on the Q13 Road. 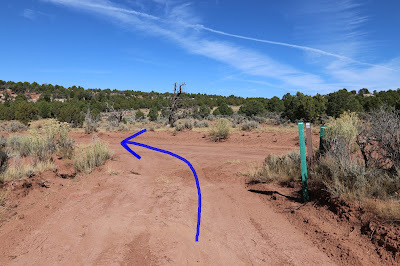 There are a lot of old mining roads in this area. At the first intersection which comes up just under the 1 mile point the T10 Road connects on the right. At present all of the intersections are well marked but it would probably be wise to have a map or two just in case some of the markers get destroyed. There are a few places where the trail gets close enough to the rim that some nice views of the Paradox Valley can be had. The double track nature of Carpenter Ridge is a welcome relief after having completed the Paradox trail up to this point. The elevation profile shows that the trail has an overall elevation gain of 504 feet with 1,454 feet of climbing and 914 feet of downhill. It has an average grade of 3% with the steeper parts briefly hitting around 11%. At the 4.7 mile point 6 Road comes up Linscott Canyon from the valley below providing an alternate route and access point to the Carpenter Ridge. The trail kisses up against the forest boundary near the 6 mile point and before the 8 mile point it has entered it for good. 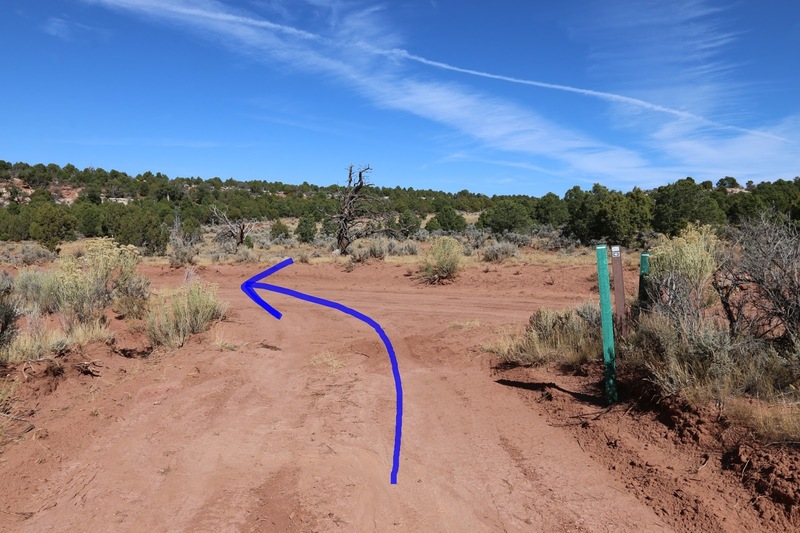 When the trail enters the Manti-la Sal National Forest it picks up a dual identity becoming both Q13 Road and Forest Road 378. Depending on how your maps are labeled either one or both may show up. The trail hits its highest elevation around the 8.5 mile point and begins descending through the forest toward Buckeye Reservoir. There are quite a few nice camp sites scattered around the lake that currently go for $10 per night. The lake is surrounded by ponderosa pines and has a very pleasant atmosphere to it. The Q13/FR 378 Roads come to an end near the northwest corner of Buckeye Reservoir when they meet up with the U5/FR 371 Roads. From here it is 11 miles down to the town of Paradox and 22.4 miles to the Kokopelli trail. Up to now, except for the Spring Creek Section, we had been doing the Paradox trail without the aid of a support vehicle but for the Carpenter Ridge and Taylor Flats sections we always had it close by. 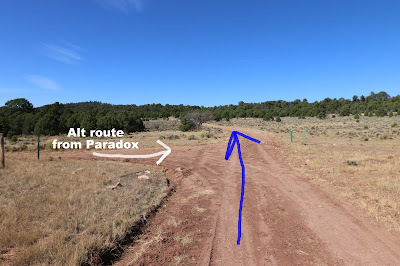 People that we have talked with that have done the Paradox trail all had someone following along where they could or moving their camp for them each day. We've been in touch with more people that did the trail in sections with breaks in between. Some of the sections they have ridden multiple times as single day rides. As far as Carpenter Ridge goes it's was nice at least to have done it once. If you would like to see it for yourself then all you have to do is grab your bike 'Take a hike'.